Find all Game Code stores and prices to download and play Assassin's Creed Syndicate at the best price. Save time and money: Compare CD Key Stores. 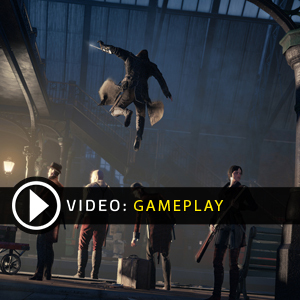 Activate Assassin's Creed Syndicate CD Key on your Uplay client to download the game and play in multiplayer. You can participate to these tests by adding comments about your digital download purchase in the store review page. 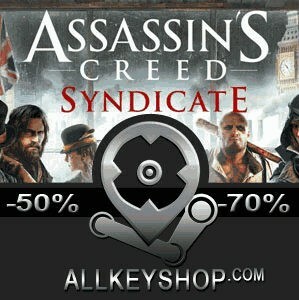 Enjoy the best deals for Assassin's Creed Syndicate CD Key with Allkeyshop.com! Assassin’s Creed Syndicate is an action–adventure, historical, open world video game developed by Ubisoft Quebec and Published by Ubisoft. This is also the 9th installment on the Assassin’s Creed Series. The year is 1868, during the Industrial Revolution of the Victorian Era in London. Technologies once thought of to be impossible are slowly coming to a reality making life much better. With all the changes, an established Order named Templar has taken over. Corrupt and unjust, they have taken rule over the land. 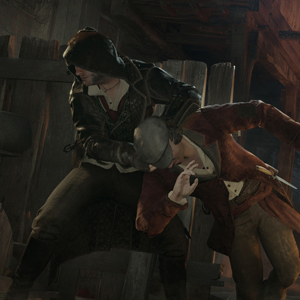 Twin Assassins Jacob and Evie Frye are set out to put justice in order. Taking over London’s underworld crime syndicate they form an army against Templar. This game features a 3rd person, open-world exploration, with new systems of travel as well as smooth, fast paced combat and stealth mechanics. You can also switch between the two characters Jacob and Evie. Jacob being more apt for close combat and Evie, using stealth and wit. You main weapons would be brass knuckles, a revolver, a sword hidden in a cane and the traditional Nepalese curved kukri knife. 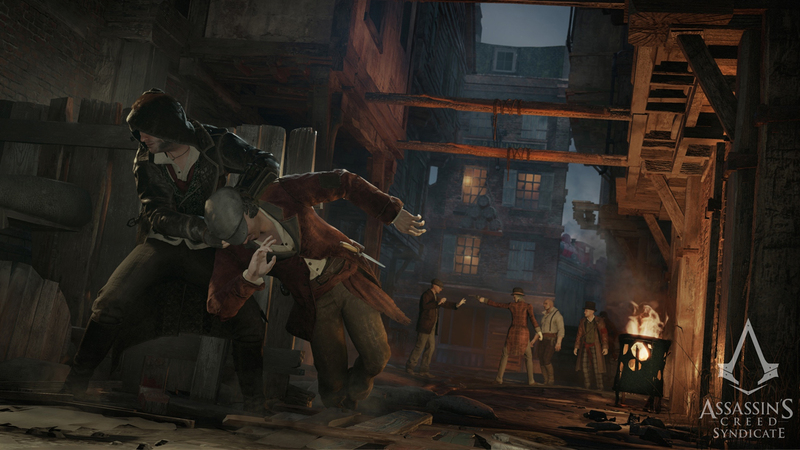 Prepare yourselves to explore 18th Century London and take back control from Templar’s grasp. There are 88 offers ranging from 6.84€ to 69.99€. UPLAY CD KEY : Uplay Digital Code to download and play Assassins Creed Syndicate. You need to install the (Uplay Software HERE), then simply add the CD Key on Uplay to download the game. UPLAY ENGLISH : Uplay CD Key English Language only version. You need to install the Uplay Software from (UPLAY.COM HERE) in order to download and play Assassins Creed Syndicate. Please read carefully the description on the store for more informations about languages and restrictions. ASIAN UPLAY CD KEY : Uplay CD Key from ASIA. You need an asian IP and the Uplay Software in order to download and play Assassins Creed Syndicate. Please read carefully the description on the store for more information about languages and restrictions. EUROPEAN UPLAY CD KEY : Uplay CD Key for EUROPE. You need an European IP and the Uplay Software in order to download and play Assassins Creed Syndicate. Please read carefully the description on the store for more information about languages and restrictions. Sometimes a language pack can be installed to play in other languages. UPLAY EMEA CD KEY : What does EMEA mean? EMEA Signification is a UPLAY key for Europe, Middle East and Africa, and several other countries. Please read store description about country restrictions to know which are concerned. You need to install the Uplay Software from (HERE), then simply add the CD Key on Uplay to download and play Assassins Creed Syndicate. 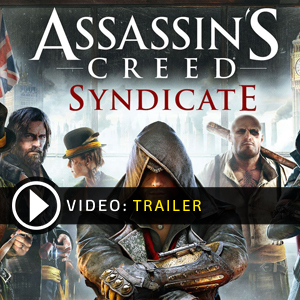 STEAM CD KEY : Use the Steam Key Code on Steam Platform to download and play Assassins Creed Syndicate. You must login to your Steam Account or create one for free. Download the (Steam Client HERE). Then once you login, click Add a Game (located in the bottom Left corner) -> Activate a Product on Steam. There type in your CD Key and the game will be activated and added to your Steam account game library. STEAM GIFT : A Steam gift is a one-time transfer you receive. You activate and install Assassins Creed Syndicate to play on Steam, it is a non-refundable game that stays in your Steam games collection. Please read the store description about any language or region restrictions. ORIGIN CD KEY : Use the Origin Key Code (Electronic Arts - EA) on Origin Platform to download and play Assassins Creed Syndicate. You have to login to your Origin Account or create one for free. Download and install the Origin Software HERE) then you can activate the game on it. Once installed, start Origin, click on the Origin Tab and click on Redeem Product Code and just enter the key. The game will appear in your My games list. This is the worst Assasin’s creed ever performance wise, the story and all is okay, but the game itself is really bad, so many bugs, from npc’s getting stuck or just the player itself not coming down of a 1m high fence. So don’t buy it if you expect a good quality game, but for the story line it is okay. Why you haven’t update Steam price with the actual deal? Hi Marco, we will check. Thank you for your comment! This assassins creed syndicate is the best assassins creed game I’ve ever played, it is intense and the story line is very good!